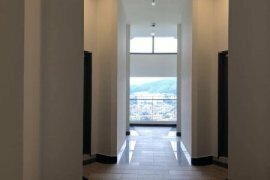 FREEHOLD Office Suite @ Jln Ampang - SOHO. Wanted Rent/sell. 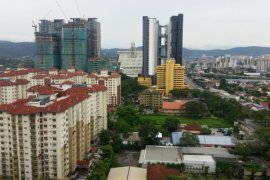 Best price on KL Area ( Jalan Ampang ). FREEHOLD Office Suite @ Jln Ampang - SOVO. Pandan Jaya Grd floor shop for sale RM:455k012-2438545/Paul. RM380K ONLY!!! KLCC Suite For Invesment with High Return!!. RM380K ONLY!!! KLCC Suite For Invesment with High Return!!!.. Property Description SALE RM 2.65 million nett Dion 012. Property Description Vista Magna shop 3sty for sale Jln. Property Description Kepong 3sty Commercial FOR SALE Fr. Property Description - 1.3mil negotiable - 2 Storey Sho. Property Description Plaza Metro Prima 1st Floor retail. Property Description Plaza Sinar Shop-Office 1st floor. Property Description Purchase before Officially Launch. Attractive business shop lot for sale at a prime Sungai Petani location that you should not miss! 40 minutes to Penang..
Property Description 3 Storey Shop/Office at Taman Usah. Property Description *** All the pictures is just for e.
Description Projek Rumah Baru di Taman Salak Sejati, Se. Property Description NEW FACTORY LOT FOR SALE RM8mil __. Property Description 3.5sty CORNER Shop-Office for SALE. Property Description Kepong kip bungolow factory for sa. Property Description Kepong 1.5 Storey Semi-d factory f.
Property Description Kepong Enterperenurs Park 1.5 stor. Property Description * 1.5 storey * 22 x 75 * Leasehold. Property Description Bandat Sri Damansara Factory *Free.